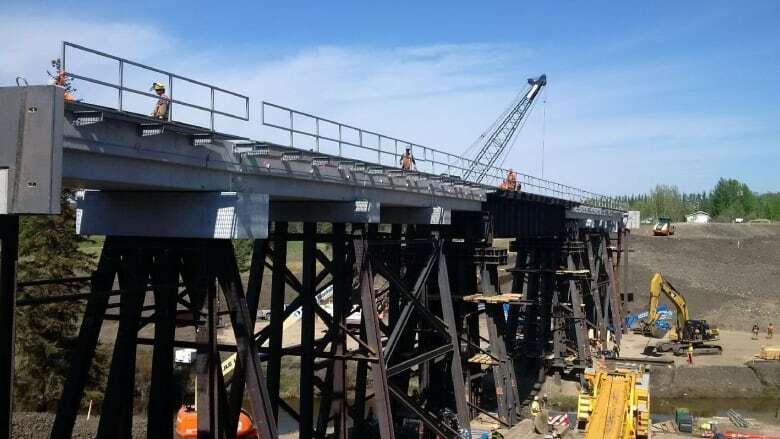 A CN trestle bridge has been rebuilt in Mayerthorpe less than a month after it was destroyed by fire during a string of arsons. CN Rail trestle bridge destroyed in suspicious fire at Mayerthorpe, Alta. 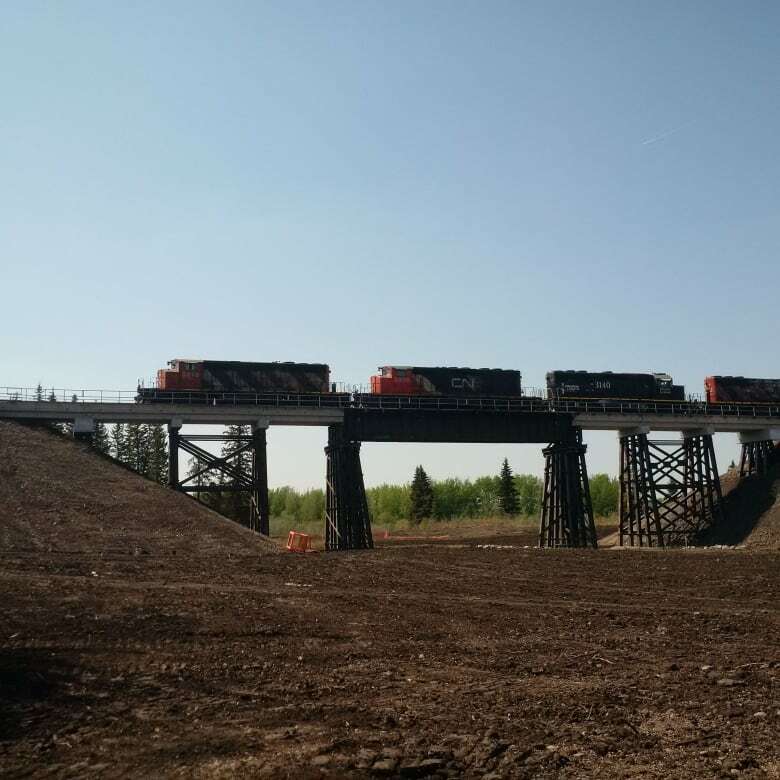 CN crews worked 20 days straight to replace the 1,200-foot wooden bridge that went up in flames on April 26. The new bridge was completed on May 15, the company confirmed in an email. About 190,000 metric tons of steel, concrete and fill was used to create part of the new bridge. It's 292 feet longer than the old one, and stands about 46 feet tall. RCMP have laid charges in relation to the fire that destroyed the original bridge, just one of more than a dozen suspicious fires last month that plagued the community, about 120 kilometres northwest of Edmonton. Lawson Michael Schalm, a 19-year-old man from Mayerthorpe, was charged with 18 counts of arson. Agriculture and forestry services members, helicopters, a water bomber, and three dozen firefighters were called to help douse the flames on the bridge. Schalm was one of those firefighters. Rail service has been restored between Mayerthorpe and Whitecourt.